Exim Bank Limited Has Been Published A Great Career Opportunities. 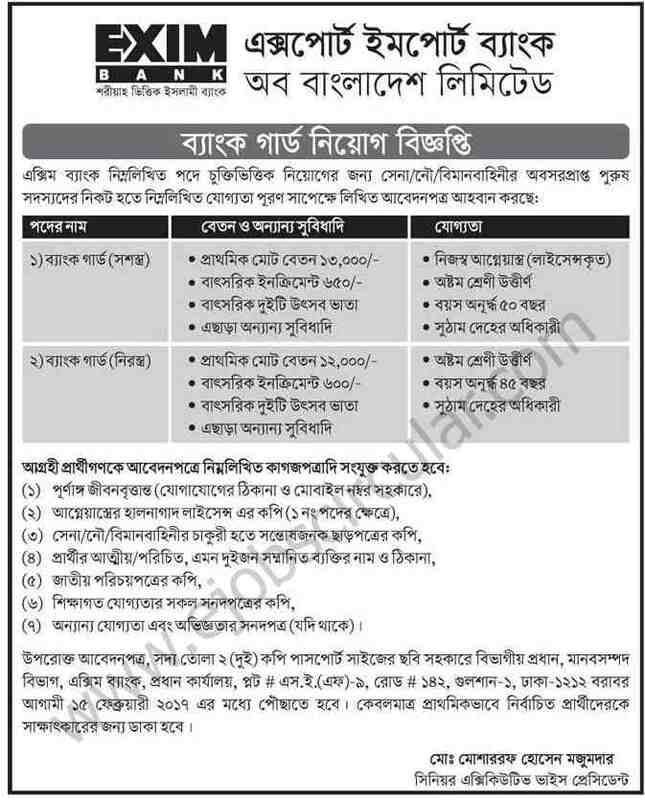 In according to This Job Circular, The Deadline For Apply This Job Is 26 November 2016 . To Know More Details Please See The Original Job Circular in Image File. The Image File Is Given Below. Exim Bank Limited is one of the leading private commercial banks in the country doing business for Many years, its goal to provide `Great Experience` of Banking at Home and Abroad. It has a huge number of customer accounts and playing their role with huge number of employees. In Bangladesh, It has been growing with Bangladesh`s financial sector with its broadest suite of corporate and institutional banking solutions. They are encouraging both fresh and experienced energetic individuals to join Their dynamic business team.They nurture employees with proper guidance and training so that they are equipped to perform the assigned responsibility.